Q8 Trade is a licensed Forex and Stock Broker, that opened their doors in 2017. Q8 Trade is owned by the Q8 Securities Company, founded in 1985, and located at; Mubarak Al Kabeer St. Sharq 15301 , Boursa Kuwait 5th Floor, Kuwait City 15301, Kuwait. Their phone number in Kuwait is: +965-22265541, and in Cyprus: +357 2532 7570 and the contact email address is support@q8trade.com. CFD investors and traders at Q8Trade have access to the Panda web based trading platform. It is very popular because it is so user friendly for new and experienced traders. 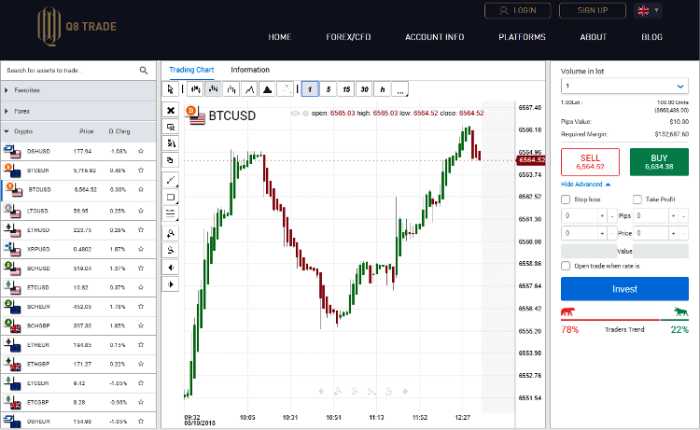 Traders who like trading with the new MetaTrader5 (MT5) platform can also use it, along with their great mobile trading apps for both Android and iOS. You will find more than 120 underlying assets to trade, including all popular Forex pairs, market indexes, commodities, shares and Crypto Currency CFDs. As a Kuwait based broker, their website is available in both English and Arabic. They have a customer service office in Kuwait and in Cyprus for clients to meet with their brokers in person. You can have your trading account in these currencies; KWD, EUR, GBP, and USD. Minimum deposit for a new trading account is only $250, start here. When the Scam Broker Investigator reviews a new CFD Forex broker to see if they are a legitimate broker or a scam company, we always look for their license from a financial regulators. Many broker are licensed in Cyprus by CySEC or by the FCA in United Kingdom, and some are not licensed at all. Q8 Trade is licensed and regulated by the Capital Markets Authority of Kuwait, with license number is: AP/2013/0012. Their license allows them to provide online brokerage services for CFD and Forex trading. 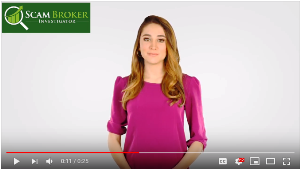 Smart investors will always use a legal company for online trading, because if you use a scam broker you can see what will have at the complaints page. There are hundreds of Forex & Crypto CFD trading brokers online for you to choose from. Share your experience and feedback with other investors looking to trade at Q8 Trade in the comments below.